The Queer Tango Book - Ideas, Images and Inspiration in the 21st Century, edited by Birthe Havmoeller, Ray Batchelor and Olaya Aramo. The Queer Tango Book is the first of its kind: a unique, international anthology of writings and artworks about Queer Tango from dancers, activists, academics, artist and others, some of whom are key figures in the Queer Tango movement. Contributions range from personal experiences, to opinion pieces, to outright polemics, setting out what it can be, could be or should be. Above all, it captures and documents something of the spirit of Queer Tango with a view to stimulating further debate. Queer Tango is generating ideas, practices and inspiration which mark it out as among the most dynamic and vibrant expressions of social dancing today. As contributors to The Queer Tango Book vividly demonstrate, the effects of some of the ideas originating within and supporting the LGBT community, are now felt beyond it, challenging, changing and enriching how the Argentinian tango is danced in the 21st century. 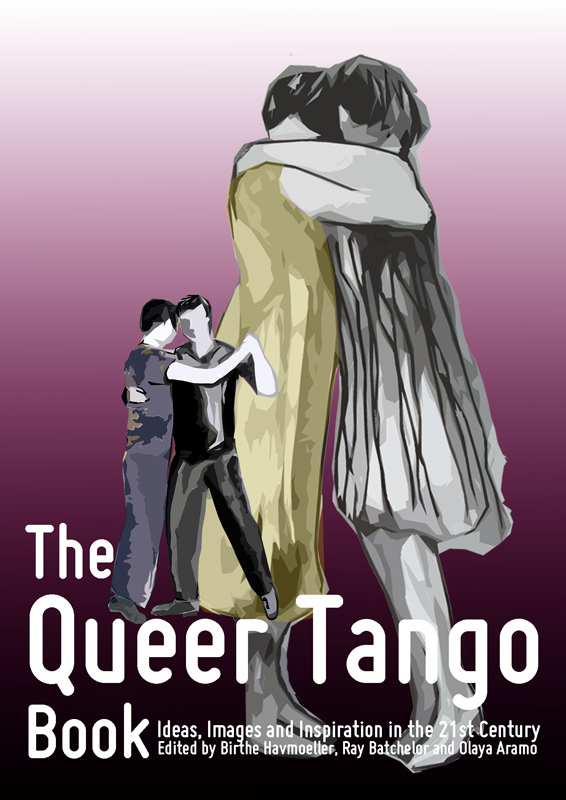 Please share The Queer Tango Book (and download link above) with your tango friends and help us spread the word this fine publication. La Vie en Rose Tango Meeting 2015. 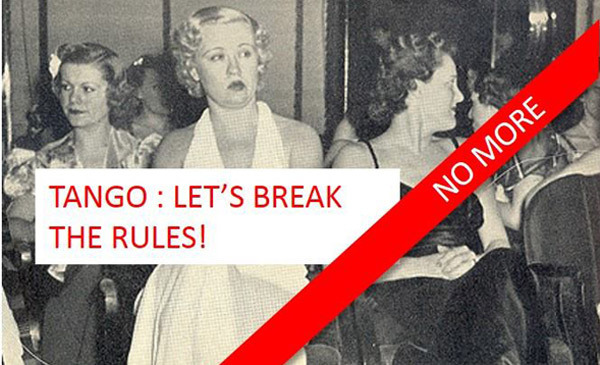 TANGO: LET’S BREAK THE RULES! A letter by Yann Lohr; first posted at Facebook on March 10 2015. Yann Lohr, who lives and dances in Lille, France, posted this article in French on Facebook – immediately after International World Women’s Day. He has kindly translated his post into English us. Read more. Photo: Yuyú Herrera and Soledad Nani (leading). 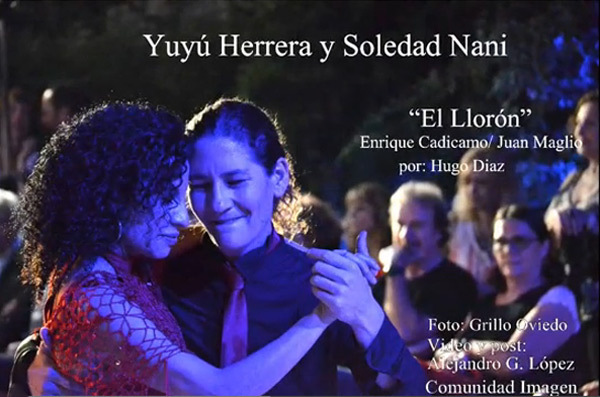 Video (2:17): Soledad Nani danced Yuyú Herrera 'El Llorón' by Hugo Diaz at Milonga Solidaria del Patio at La Casa Nacional Del Bicentenario in Buenos Aires, December 2014. Photo (above) by Grillo Oviedo and video (below) by Alejandro G. López. 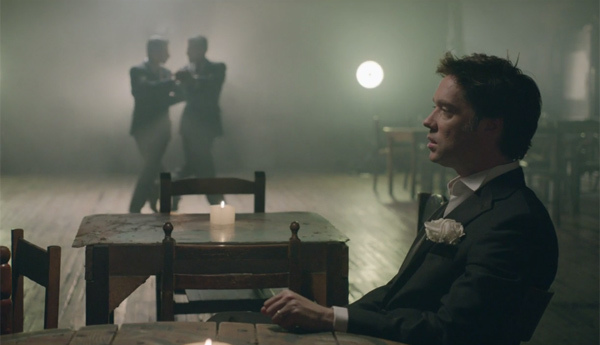 Video (3:20): Music video - Rufus Wainwright Bitter Tears, 2014. Video (2.24): During the Milonga and Intensive Tango Weekend with Lucia Mîrzan and Raluca Teodor Febuary 28 - March 2, 2014 in Timisoara, Romania, Lucia and Raluca performed this lovely milonga. 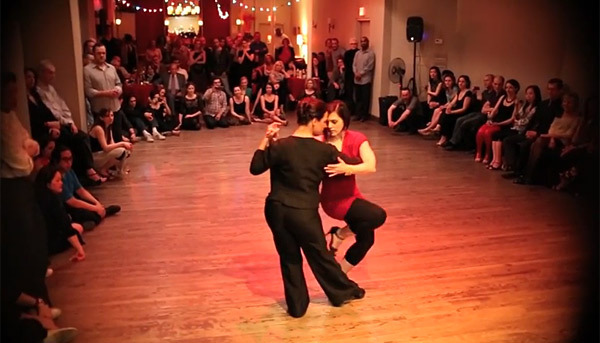 Video (9:50): Silvina Valz and Mariana Parma danced at La Nacional, NYC (04-04-2013). Music 00:00 - Es Mejor Perdonar (Laurenz/Casa) and 03:05 - El Cielo En Tus Ojos (Sarli/Rufino). 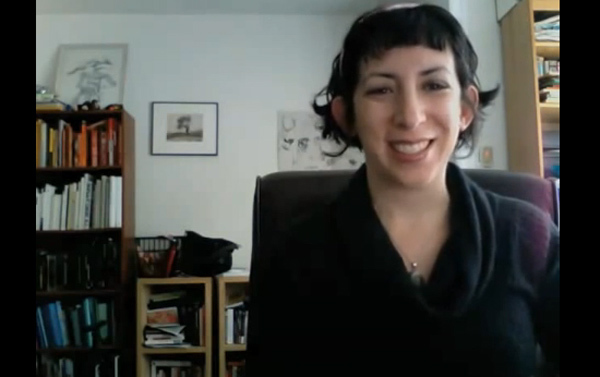 Video (3:29): photographer Ellie Brown has shared this video, in which she is looking at the contents of Queer Tango instructor David's bag.